Democratic Virginia Gov. Ralph Northam said Saturday that reports disclosing racist photos that appeared on his high school yearbook might serve a higher purpose: The scandal could make him a better governor. Northam has no intention of resigning from office before his term is up three years from now, he told The Washington Post in a sit-down interview. In fact, he claims reports of him dressing in blackface when he was younger will help him learn how to better serve black Virginians going forward. “I overreacted,” Northam said, referring to a press statement wrote on Feb. 1 taking blame for the picture. “If I had it to do over I would step back and take a deep breath.” The photo, which was first published in January by Big League Politics, appears in the governor’s senior yearbook and shows two people: one dressed in blackface, and another clad in Ku Klux Klan robes. Northam completed an undergraduate degree at Virginia Military Institute (VMI) prior to attending medical school. An archive of his senior yearbook from VMI does not show any similar racist photos. However, a biography in the book reveals that one of Northam’s nicknames was “Coonman” and that he served as the president of the Honor Court. He explained why it was wrong to paint his face black during a dance contest in 1984 to portray Michael Jackson but claims to have learned a valuable lesson. Northam said the experience, as well as week of reports highlighting his behavior, has taught him that the incident could be therapeutic. The kerfuffle created a type of domino effect within the Virginia Democratic Party. Democrats initially rushed to demand Northam’s resignation but are now caught in a quagmire as the next two Democrats in line for the Virginia governorship, Lt. Gov. Justin Fairfax and Attorney General Mark Herring, are each battling scandals of their own. Herring admitted to wearing blackface in 1980, while Fairfax is accused of sexually assaulting Vanessa Tyson, now a fellow at Stanford University, at the 2004 Democratic National Convention. A second woman has also come forward claiming she was raped by Fairfax while the two attended Duke University. 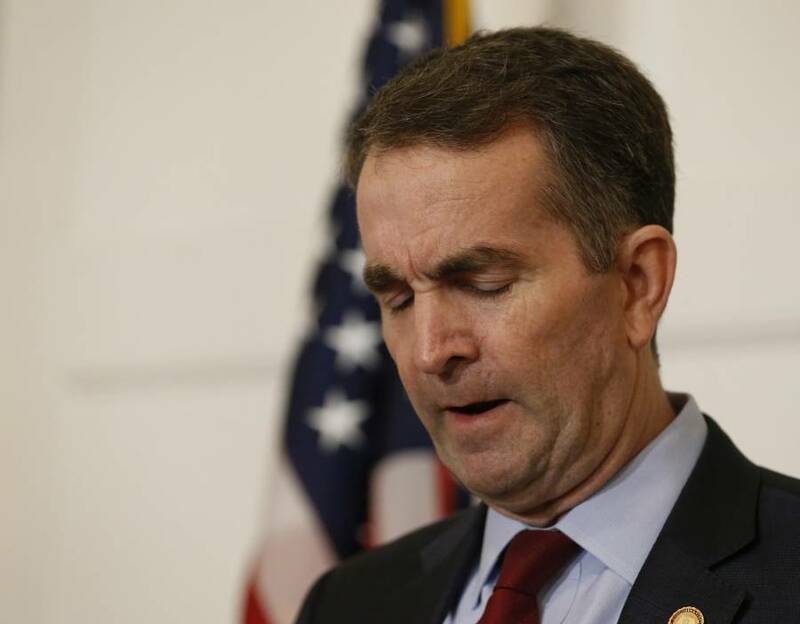 The slew of controversies comes shortly after Northam struggled to explain his position on abortion during a radio interview in January. He was unable to explain whether he supported partial birth abortion under certain circumstances. His comments come after Democratic Virginia Delegate Kathy Tran introduced HB 2491, or the Repeal Act, in January. The legislation, which Republicans blocked, sought to repeal the state’s current restrictions on late-term abortions. The bill would allow a doctor to perform an abortion when a woman is dilating, meaning she is about to give birth.